Enable Kill Switch to automatically block all Internet and network traffic when VyprVPN disconnects or is not enabled. Kill Switch offers the strongest protection. Automatically connect to the fastest VyprVPN server location available, or ping test any 70+ global server locations to view different speeds. Automatically connect to VyprVPN and encrypt your Internet traffic whenever you connect to an unknown Wi-Fi network. Ensure your connection is always protected from hackers or snoops on public, unsecured networks to keep your communications, location, data and browsing activity private. 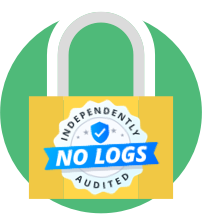 Now with zero logs kept for greater protection. VyprVPN for Windows offers Chameleon technology, enabling users to defeat VPN blocking for an unrestricted Internet.